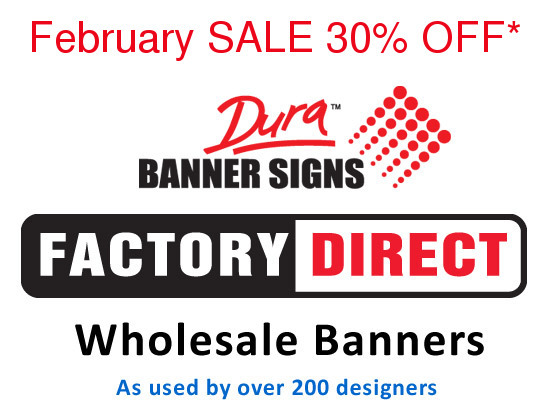 When you use our wholesale system for ordering signs, banners flags and displays online. You can track your order at every stage through to final delivery to your door. 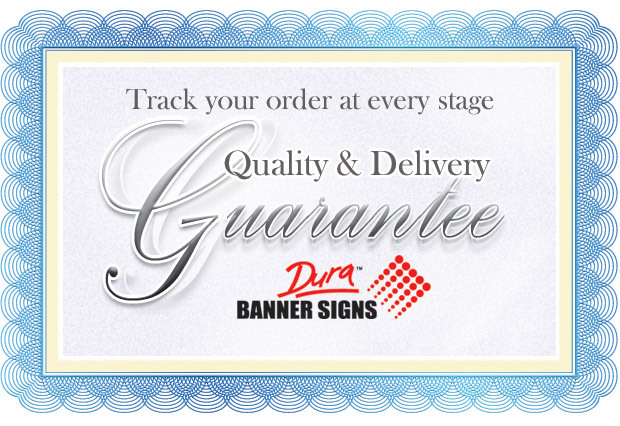 Watch and trace the various stages of your banner signs being made. Indicated on the Order & Upload page is a... your order will be printed and dispatched within [ 32 ] hours field. This is also known as the 'Estimated Time to Dispatch' notice. An ETD. This is a guide only. This guide is PLUS delivery time to your location. The ETD does not consider influences such as holidays, machinery maintenance, roll changeover's etc and this may affect ETD not available on the website. The ETD will alter depending on 'time needed' based on m2 print and distance of sewing. Larger orders require more worktime and the ETD is a guide for how many print and sew hours are required. The ETD is fluid and will increase or decrease depending on how many line items you add or remove. Estimated Time to Dispatch (ETD) is a guide only. Do not rely upon deadlines less than ETD + Ground Shipping to your destination. Express free shipping is not available. Allow ETD plus 3-7 days shipping to your destination. Longer periods may apply for rural, regional, remote or out of area destinations. Upload and Pre-Flight your details. View Instant Preview for visual proofing. 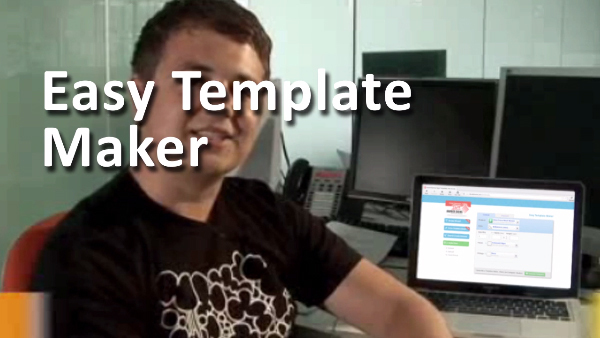 Change, alter, add or remove any custom item. Approve Instant Preview and uploaded files. As manufacturing begins, you will receive a message of 'production started', item packed, item picked up by courier. When an item is picked up a tracking number is associated with your order parcel. As the courier website updates you can watch and follow the location of your parcel at various times, access the website and if required communicate with them. We give you the consignment details instantly when available so you manage all aspects of delivery from your desk. #1 Should a parcel be lost or non delivered for reasons outside normal carrying guidelines we will replace. We guarantee you receive product. #2. Do not rely upon courier estimated deadlines pre order. If your deadline is urgent or mission critical, please communicate pre order with us. Free Shipping is not express. We use standard ground shipping unless otherwise arranged pre order with you.